What started off as a small step in preserving and promoting the Andaman Islands, eventually led to making it a favorite destination for globetrotters. Staying true to the name, the Barefoot group is deeply rooted in a passionate effort to make these exotic islands an eco-friendly holiday hotspot. The team of Barefoot Holidays is the largest for the Islands ensuring that all promises are delivered. 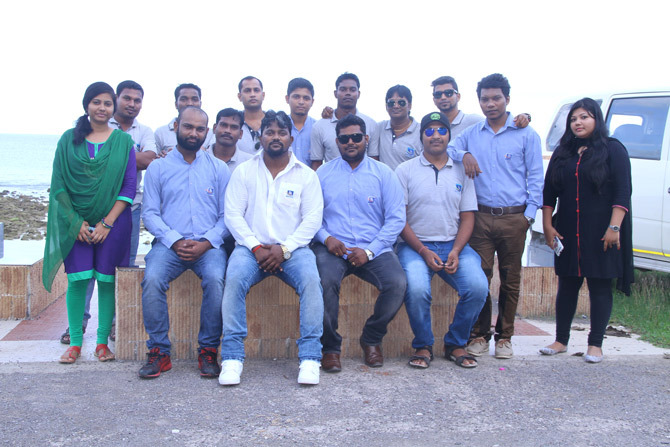 With a personalized approach to every customer, our team is reliable, frank and strives to showcase the Andamans like never before. Customer satisfaction is of utmost importance and it is our endeavour to ensure that your holiday is hassle-free and perfect in every way. You take home with you memories to last a lifetime. Our team has been carefully chosen to reflect what we truly believe in and to show you the magic that is the Andaman Islands. At Barefoot Holidays it has always been about “Our Andamans and Your dream vacation", We cater to your every requirement and strive to make your dream holiday a reality. Wherever you choose stay, you are a guest of these islands. Please do not throw garbage and create litter. When visiting beaches, please do not leave anything on the beach and carry all the waste back to the resort. It is the small things that make a big difference. Be particular of the boat you are travelling by for activities like snorkeling or fishing, try to ensure it is not leaking fuel. While snorkelling or diving please do not stand on the reef or break corals. Let us only take back memories and a desire to return to these islands. Majority of these islands are run on electricity produced through generators. We shudder to think the harmful effects of all the smoke and pollution as a result of this. Hence do your part to reduce electricity consumption and switch off all fans, air conditioners and lights when leaving your room. Waste management is a big problem on islands and a majority of the waste comes in the form of plastic. Please carry a cloth bag or knapsack when visiting the market areas so you can avoid carrying items you buy in plastic bags handed to you by the shopkeeper. Small contributions like this go a long way in keeping the islands as beautiful and as pristine as they are. Our sincerest plea to all of you is not to disturb the innocent lives of the local tribals. Even if someone offers to take you to glimpse or meet them for a price, please refrain yourselves from the same. Such activities are prohibited and punishable by law. These tribals have lived in isolation for centuries and human contact has already done enough damage to their lives, let us not influence their way of life anymore. Let us preserve these islands for generations to come as it is not just our duty but also our responsibility. Together we can and we will.